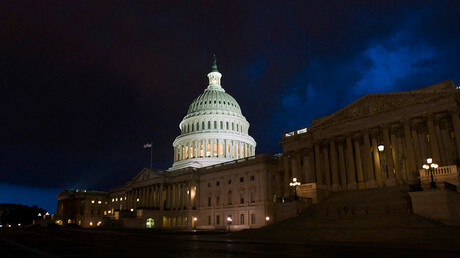 The federal government will be funded until January 19, after the House and Senate approved temporary spending bills to stave off a government shutdown. The Senate’s 66-32 approval and the House’s 231-188 vote to approve the short-term spending through January 19, 2018 saw limited bipartisanship Thursday. Some Democrats withheld their votes in protest of Republican refusal to include an immigration measure to codify DACA, the deferred deportation protection for illegal immigrants who arrived in the US as minors. Trump has given Congress until March to pass immigration reform covering those immigrants known as Dreamers. This is the second time this month that Congress passed temporary funding. On December 8, a two-week spending bill was approved. The passage of this latest funding means members of Congress can leave Washington for their Christmas break, but pressure is building for full long-term funding to be implemented. The House bill contained $ 2.85 billion for the Children’s Health Insurance Program and $ 750 million for community health centers and diabetes programs. The measure also extends the Foreign Intelligence Surveillance Act program known as Section 702. An additional $ 4.7 billion was also appropriated to the US Department of Defense for ship repairs and missile defense programs for a short time period. Also included is a contentious “pay-go” waiver, a provision to suspend rules that bar the government from enacting expansive new programs – such as the GOP-led tax cuts – unless there is enough money in the current year’s budget to pay for the programs.